Established in 1975 by Brian Healey, Water World is a family owned and operated business. In 1984 David Healey joined the pool construction crew, followed by Darryl Healey in 1986. Together they share the position of foremen on the inground pool installation. Cheryl Healey assumed the role of General Manager in 2002 after 12 years in public accounting. Water World has grown steadily to become an area leader in the swimming pool industry. Water World goes far beyond your initial installation. They will supply expert advice on the use and care of your pool, and you can always count on them to carry a complete line of chemicals and accessories to make your pool ownership a pleasure, now and in the future. 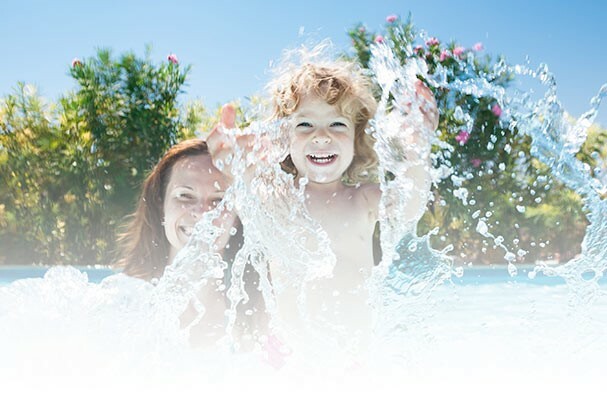 Why choose Water World for your pool installation? Experienced sales team to assist you with your pool installation, from choosing the right pool shape and size for your yard to selecting the perfect colour of decking to compliment your surroundings. Skilled crews, each of which are specialized in every aspect of your pool installation, eliminating the use of subcontractors. Annual Pool opening and closing seminars. Five Year Prorated Warranty on Inground Swimming Pools. One year Warranty of Above ground Swimming Pools. Knowledgeable service department to assist with any issues you may have after the installation. Water World is fully covered by Contractor's Liability insurance up to $5,000,000. Water World is a covered through Workplace Safety & Insurance Board. Warranty covers workmanship of installation. Purchased assemblies, accessories and equipment carry manufactures' warranties.